” Honor the Lord with your wealth, with the ﬁrstfruits of all your crops; then your barns will be ﬁlled to overﬂowing, and your vats will brim over with new wine ” ( Proverbs 3:9-10). The Lord’s beloved, we thank God who has given us the grace to enjoy our present Church over the past 17 years. Now, it is the time to build a bigger church to suit the expansion of service needs and include more than 500 people. This large scaled project includes many Sunday school classes and other rooms for various activities. 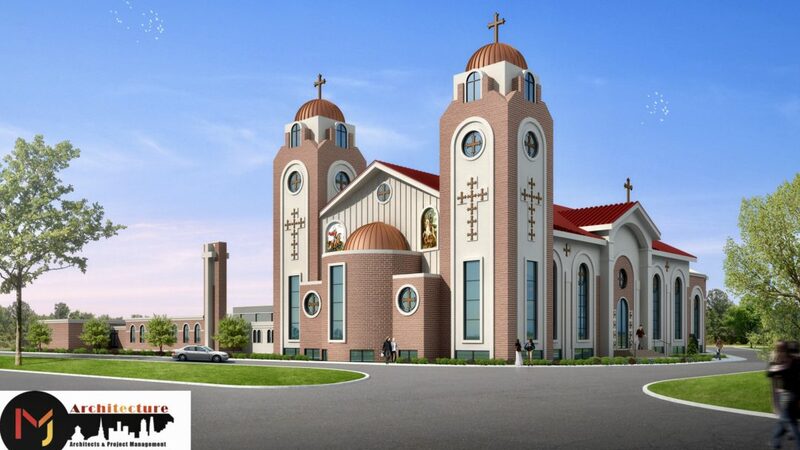 The new church building will also include a large multi purpose hall and a large gymnasium for all sports to meet the needs of all age groups of our community and also the surrounding Canadian community, in a true Christian atmosphere ﬁlled with love, respect and peace. We trust in the grace of God that the new church building project & its facilities will serve our present generation and many future generations in this and other regions. ” Each of you should give what you have decided in your heart to give, not reluctantly or under compulsion, for God loves a cheerful giver” ( 2 Corinthians 9:7). ” It is more blessed to give than to receive” ( Acts 20:35). With the help of our Lord, you can actively participate in Spark 2017 campaign, which aims to raise $700,000 within 90-180 days. By God’s will and your support, work begins by digging the foundation of this new project in the spring of 2018. And now, Lord’s beloved, if your heart moves you to give in to this project, do not delay, your positive participation and donation will be very inﬂuential in building a foundation for the growth of true Christian faith for many generations to come. 1. A bank Check in the name of the church dated on the day of or on deferred dates. 2. Donate directly through the Church’s website ( www.stgeorge-stmercurius.com). 3. Donation by credit cards. 4. Continuous donation on a monthly basis. “The God of heaven will give us success. We his servants will start rebuilding” ( Nehemiah 2:20). With the intercessions of our Church’s saints, Saint George and saint Mercurius. Amen.